It’s that lovely time of year before Autumn hits. In less than 3 weeks the Pannage season begins in the New Forest! 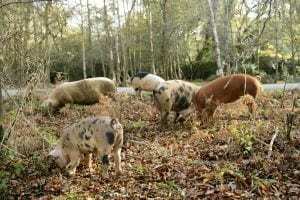 Pannage is otherwise known as the ‘release of domestic pigs’ in the forest. Pannage is no longer carried out in many areas but can still be observed every year here in the New Forest. In the autumn after the acorns, beechmast, chestnuts and other nuts have fallen, the pigs are released and work their way through the forest eating them from the forest floor. This is for the benefit of the ponies; These acorns and chestnuts can be poisonous to them, however not to the pigs. Thanks to the Pigs for gobbling up all of the acorns, no other animals on the forest can be harmed. You can usually find the pigs roaming the forest floors from mid-September, usually when the acorns begin to drop. The exact Pannage dates are decided by the New Forest Verderers and the Forestry Commission, and is based on seasonal variations. The 2016 Pannage season starts on 12th September this year. The season last for 60 days or until all of the acorns have been removed from the forest floor. Tracking down pigs for removal, however, is not always easy. Some will travel many miles in the quest for food or a mate. 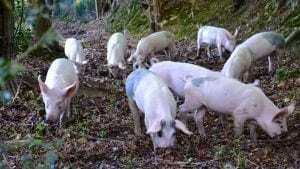 Then, to bring searches to a successful conclusion, commoners depend on an intimate knowledge of both the area and the pigs, and information supplied by helpful neighbours. 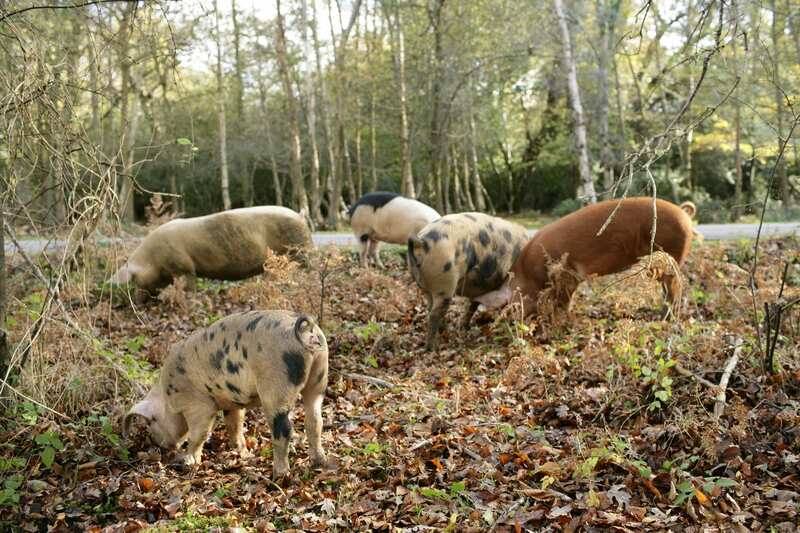 Its the perfect time of year to admire the seasonal changes in the forest, especially if you can catch a glimpse of the roaming pigs! We have plenty of walking and cycling maps at the hotel, and welcome all of our guests to take them out for the day…. you never know, you might be one of the rare few to witness the pigs in the forest! Click here to browse our rooms and book just in time for Pannage season.